The Oakland nonprofit has become one of the country's most progressive Girls Rock Camp chapters by emphasizing accessibility and inclusion. Liv and Terri are members of Little Debbie and the Crusaders. 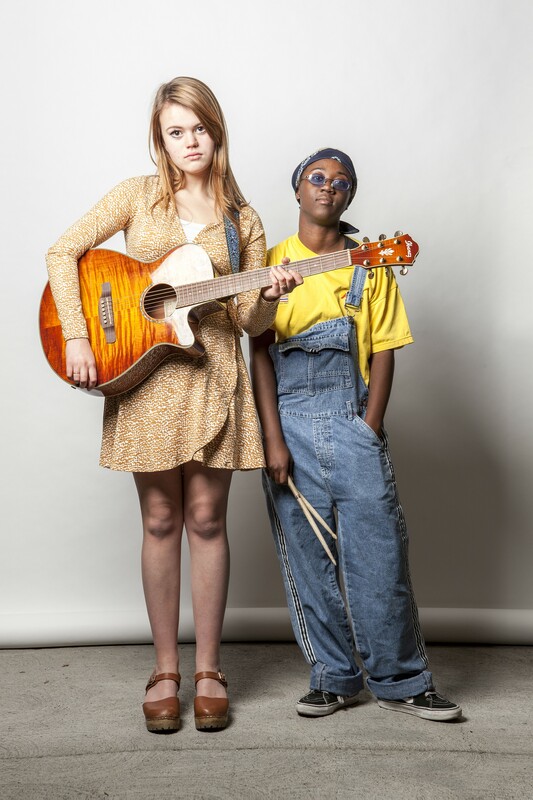 Maggie Halliday and Grace Iyer met as tweens in 2009 through Bay Area Girls Rock Camp, an organization that offers musical training in nonjudgmental, intimately collaborative settings. "I remember I tried jazz band at school and all the other drummers were boys," said Halliday, 20. "When they found out I couldn't read music, I was sort of sidelined. But at rock camp, mistakes are cool." Their first camp band was called The Luminescent Vampire Bunnies. Both of them attended for years, eventually volunteering as instructors and, most recently, joining the organization's board of directors. "It's become more social-justice-oriented," Iyer, 21, said of the organization's changes, noting that rock camp has incorporated a more expansive view of gender by welcoming self-identified girls and transgender youth; name tags now include preferred pronouns. "That's big for me, as someone who's since come out and started using 'they/them.'" Founded 10 years ago, the Oakland nonprofit has become one of the country's largest and most progressive Girls Rock Camp chapters. There are afterschool programs at Malonga Casquelourd Center for the Arts and summer programs at Oakland School for the Arts, with sessions for kids as well as teens — all overseen by a staff of six and scores of volunteers with close ties to local music. 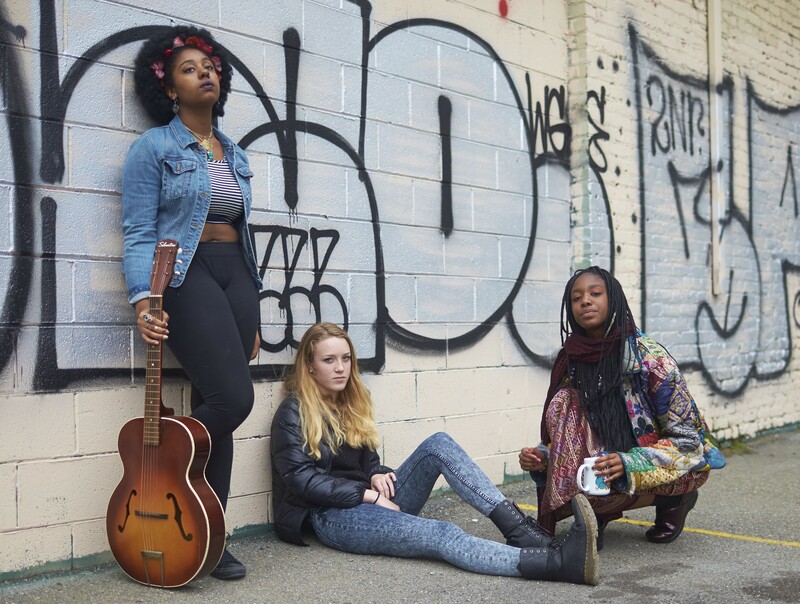 Sepand Mashiahof, the development coordinator, is a member of S.B.S.M, whose Joy / Rage EP topped this critic's list of 2015's best local music, while staff also includes members of Neon and Daisy World, plus Shawna Scroggins, an organizer of The Universe is Lit: Bay Area Black and Brown Punk Fest. As is the case for many Oakland nonprofits, however, overhead costs for office and class space are steepening. BAGRC recently relocated its headquarters after facing a 30 percent rent increase. And since the organization prizes accessibility — more than 60 percent of campers receive financial aid — it's increasingly reliant on donations and foundation funds. The Oakland Fund for Children and Youth helps buoy the nonprofit with $50,000 annually. According to Mashiahof, tuition accounted for only 32 percent of revenue last fiscal year. "Campers are also moving further away from downtown Oakland, where our office and programs are all located," said co-Executive Director Jaime Clark, adding that BAGRC offers travel stipends and is developing a "mobile curriculum." A fundraising gig featuring local punk bands occurs this Friday at Luckyduck Bicycle Café, and a 10-year retrospective art show opens on New Year's Eve at Black Spring. Applications for the afterschool program are open, and BAGRC is looking to raise $25,000 by the end of the year. Bay Area Girls Rock Camp is as much about collaboration and self-confidence as it is about musical instruction. In an interview at BARGC's office, staff stressed that the experience is as much about collaboration and self-confidence as it is about musical instruction. Campers attend workshops with names such as Healthy Relations, Image & Identity, and Gender Justice, while volunteer training materials include headings such as Power, Privilege, and Intersectionality. "I remember this casting group reached out, looking for a young girl rock band for a commercial or something," said volunteer coordinator Sabrina Sierra. "But they wanted to know everyone's sizes, their measurements. That's not what we do." The name Bay Area Girls Rock Camp is misleading in a couple ways: the use of "girls" implies a binary view of gender that the curriculum actually dismantles. "It's honestly easier to do a Gender Justice workshop with kids," said Halliday. "I've had 8- and 9-year-olds call me out for misgendering someone." And there are options besides rock 'n' roll, said staff member Chelsey del Castillo. "When we do talk about rock 'n' roll, we teach the truth, the herstory of rock 'n' roll that centers Black and Brown people." Clark, a longtime volunteer who recently replaced founding director Carey Fay-Horowitz, was Halliday's first drum teacher; now Halliday oversees Clark from the board of directors. Clark said that BAGRC has been around so long, former campers are playing the same shows as her group, Daisy World. "It's so cool to have the opportunity to actually play shows with their new bands," she said. "We're very interconnected with the DIY scene in the Bay Area as opposed to a more professional or nonprofit world." To donate to Bay Area Girls Rock Camp, click here. And to apply to the after-school program, click here.